Do you or someone you know suffer from pain, numbness, or tingling that travels down the leg maybe even into the foot? Does it prevent you from working, exercising, or even sitting in a car for prolonged periods? You may have a condition called “sciatica” which is a pressure/compression of the sciatic nerve caused by issues with the lumbar (lower) spine. Sciatica can be the result of several types of stress, including physical, emotional, and even chemical changes in the body. Stress, regardless of type, causes vertebral subluxations, or misalignments in the spinal cord. 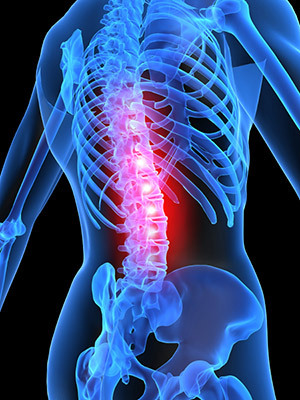 Subluxations keep the spine locked in the wrong position while preventing the nervous system from working properly; symptoms like sciatica result. Many people turn to pain relievers; however this is only a temporary cover and will not solve the root of the issue. Since pain down the leg can prevent most daily activities, people often overdo it with pain medication: dangerous, because pain medicine can be highly addictive. Without fixing the cause, the pain almost always returns. Nothing’s worse than feeling great mentally, but physically feeling held back from life because your back or sciatica hurts and the pain just won’t go away! Fortunately, there is a non-invasive, drug-free solution if you are suffering from any of these problems; they may be relieved or eliminated with chiropractic adjustments. Yes, you can get recover from your Sciatica. Chiropractic has been around for over a hundred years, and has been used to help everyone from infants to the elderly. Even top sport stars and entertainers… like Tiger Woods, Emmitt Smith, Tony Robbins, Joe Montana, Lance Armstrong, Gov. Arnold Schwarzenegger and Mel Gibson. These professional athletes have the money to hire any kind of doctors they want, yet they choose to have a chiropractor on their team. “Chiropractor’s manipulation of the spine was more helpful than any of the following: traction, massage, biofeedback, acupuncture, injection of steroids into the spine and back corsets, and ultrasound.” — Stanley Bigos, MD, Professor of Orthopaedic Surgery. This means in just a matter of weeks you could be back exercising and having fun again. With my “Back Pain and Sciatica Evaluation” we’ll be able find the problem and then correct it. Think of how you’ll feel in just a few short weeks. See and feel your life change for the better. Start your body on the way to pain-free, normal living. Feel tight joints rest, relax, free up. Feel muscles tied in knots become supplier. Feel strength in your muscles increase. As you begin to see motion returning to your joints, you’re preventing and reducing chances of disability and a crippling future. For 14 days only, $47 will get you all the services I normally charge new patients $157 for! I’ll provide answers to your questions, like…the best nutritional supplements proven to help with joint problems.…which position, mattress, and pillow you should use for a good night’s rest.…the foods that can help you and which ones can make you worse.…how to exercise the right way so you aren’t making your pain worse. Our office is called Santé Chiropractic and Wellness Centre and you can find us at 1224 Place d’Orleans Drive, Unit #1, in Orleans (in the No Frills Plaza). Tell our Chiropractic Health Assistant that you’d like to come in for the Back Pain and Sciatica Evaluation. I look forward to helping you get rid of your pain so you can start living a healthier, more joyful life.